Dr. Sharad Kohli has dedicated his career to working with the underserved and to attaining health equity. He received his medical degree from the University of Oklahoma and completed a rural family medicine residency at Cascades East Family Practice in Klamath Falls, OR. He has spent over 15 years working with Federally Qualified Health Centers (FQHCs) in both urban and rural settings in California and Texas. He works at People’s Community Clinic, an FQHC in Austin, TX, and is strongly committed to looking upstream at factors that influence health. He is currently developing an interprofessional pain program integrating numerous services including behavioral health, acupuncture, yoga therapy, nutrition, medical-legal, and more. 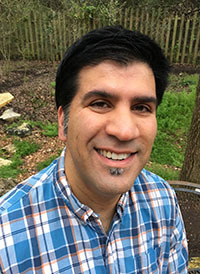 Dr. Kohli has been intimately involved in the growth and development of the national nonprofit Integrative Medicine for the Underserved (IM4US), a multidisciplinary organization committed to affordable, accessible, integrative health for all. He co-founded its annual conference, was a member of its founding board of directors (on which he continues to serve), and created and chaired its policy committee. He serves as IM4US’s representative on the board of the Integrative Health Policy Consortium, a nonprofit consisting of 27 organizations and institutions representing over 600,000 integrative healthcare professionals nationwide. He was recently elected vice chair of the organization. He is married to a naturopathic physician, from whom he learns daily, and has two wonderful daughters and a large, ornery dog. He enjoys live music and the outdoors, both in abundance in the central Texas area.